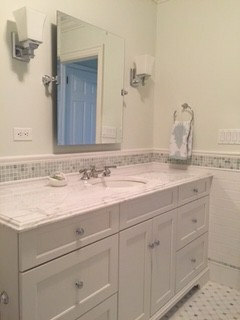 * Shaker style vanity with marble top and under mount sink. 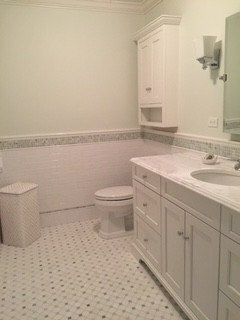 * Wall mounted cabinet above toilet. 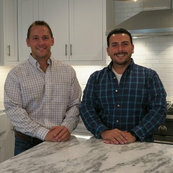 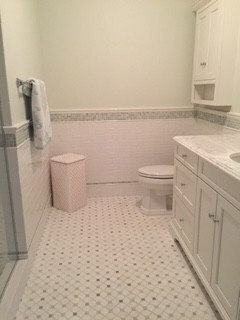 * Subway tile walls and shower. 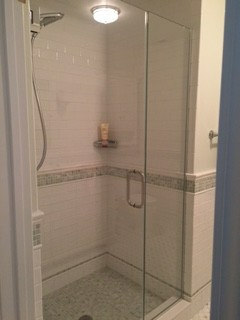 * Hinged frameless shower door.